You might be wondering what on Earth I’m doing talking about our Farmer’s Market set again (for the millionth time between the blog and my FB page), and what on Earth does it have to do with SPD… maybe I just mis-categorized it, right? WRONG! Check this out, ya’ll. 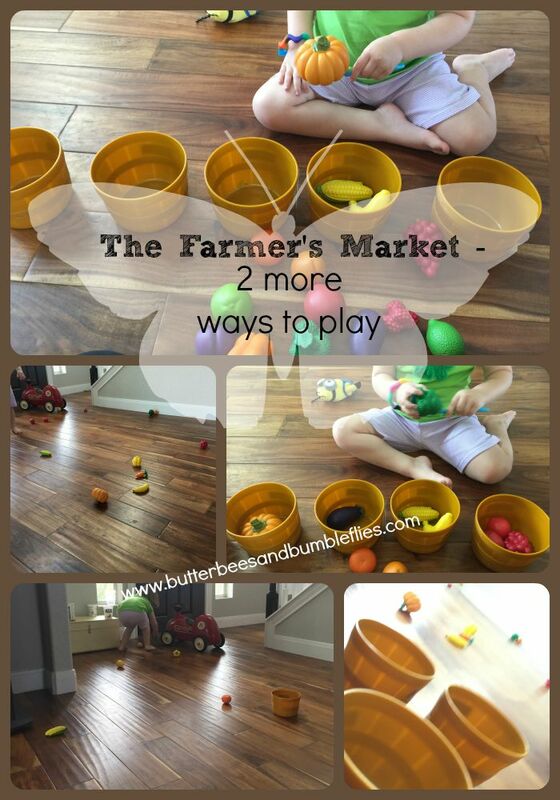 Becca is constantly playing with our Farmer’s Market Set (affiliate link, thank you! ), and Grayson is too. But today on her own she said she wanted to do something different. This first game was totally her idea. She got one of her brother’s baby food spoons and carefully practiced picking up each fruit/veggie with the spoon and carrying it to the correct color bucket before dropping it in! She was so serious and concentrated the whole time! I was really impressed! Then, when she got tired of that, she threw the fruits and veggies EVERYWHERE. Ugh. So I made a game out of cleaning up, and she actually played it about 4 times! We’d throw all the fruits and veggies out all over the foyer/dining room. Then I’d hand her a random color bucket, she would read me the color name, and then I’d start counting down from 10 to 0. She was racing around like a cute lil chicken with it’s head cut off! Going nuts! She was soo excited! HA! We had so much fun with these two simple made up games, that I knew I had to share them with you. They were perfect to get her calm and centered, and then to let her run around and bend over and back up over and over in a quick period of time. Her need for proprioceptive input is so great, and often leads her her getting in “trouble” because she just can’t control her body’s need for activity. So racing around to pick up all of one color was an awesome input for her, and her brain had to really stop and think about what color she was picking up. She forgot a couple of times and had to look down and read the bucket again. 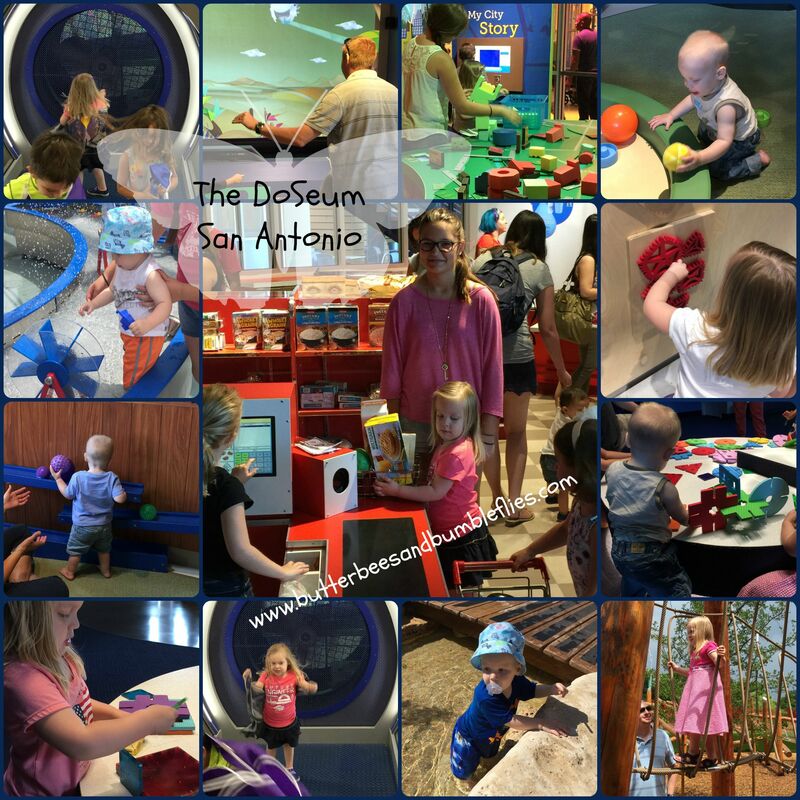 So, if you’re looking for a way to occupy kids on a rainy day, or simply a way to keep your “seeker” fully engaged, these are a couple of really fun activities. Truly, this set should be on every toddler/preschooler/early elementary schooler’s list for Christmas!! It’s also a great activity for feeling different textures (thus my boy is shirtless). I noticed when Becca went across the “osticle” course the first couple of times, she was continually rubbing her hands on the different textures. She absolutely LOVES our couch and chair – they do have a really cool texture – I agree! So this is a fabulous activity for ANY child with proprioceptive sensory needs! 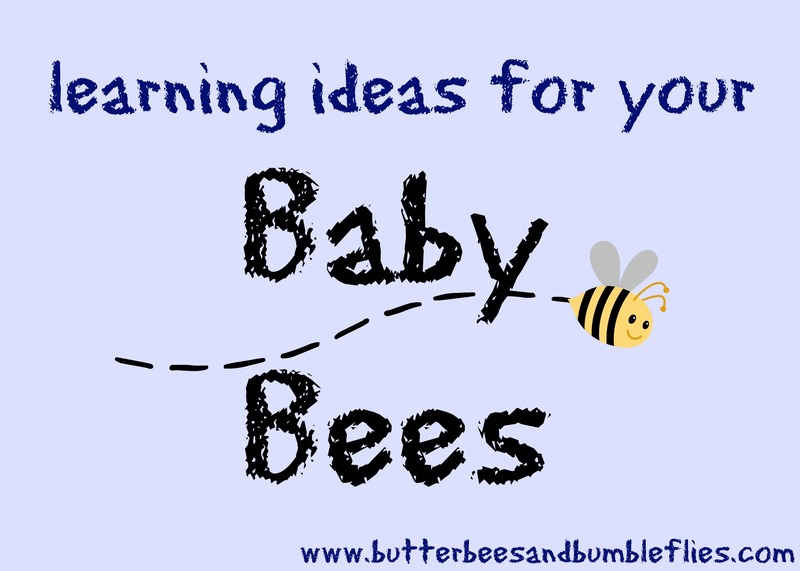 But it also presents my Baby Bee with a challenge to climb down and up – all in a relatively safe environment where he isn’t going to fall directly onto the hardwood floor. It took him a good five minutes to get up and down across the whole course. And then he was off to his next task – he found his Sister’s purse and started chewing on it! HA! Setting up an obstacle course like this is a fabulous way to work on those gross motor climbing and crawling skills that are so important to develop in your Baby Bee. 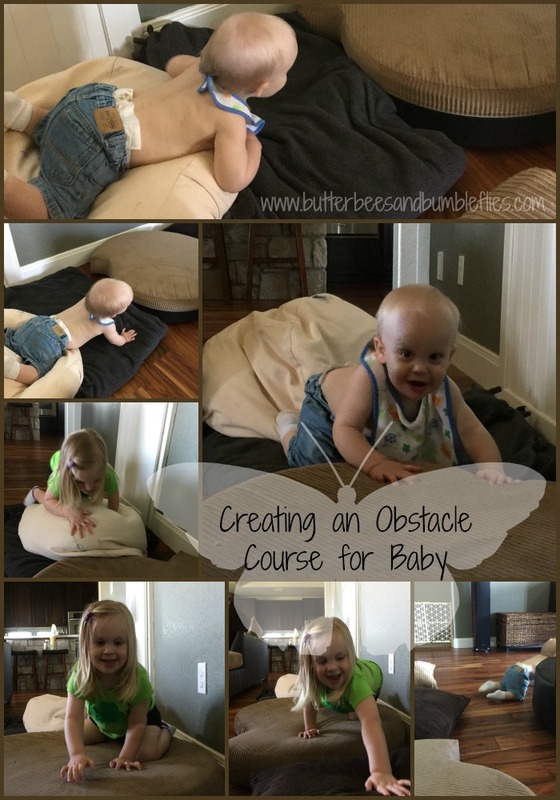 Ironically, I had already planned this post when Jamie from over at Hands On As We Grow shared one of her posts from a while back when she made a couch cushion obstacle course for her Baby Bee. 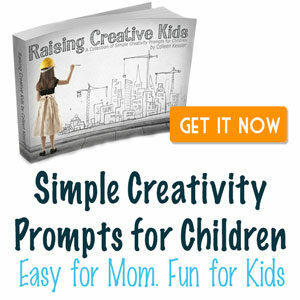 You’ll want to check out her post – it gives some great ideas for once your crawler has conquered the “basic” obstacle course like I made. I love her idea of stacking the cushions up to make “stairs” and also adding some balls into the course to chase around and encourage movement and participation! We’ll be using those ideas in the future as Grayson gets better at climbing, for sure!